We work in 14 different locations in 12 countries across the globe. AlL of our offices are stopping human trafficking before it starts. 8 of them focus on fierce intervention. 6 of them provide restorative aftercare. Each of our offices are uniquely equipped to outwork OUR SOLUTION. check out our country web pages for a better look. P.S. 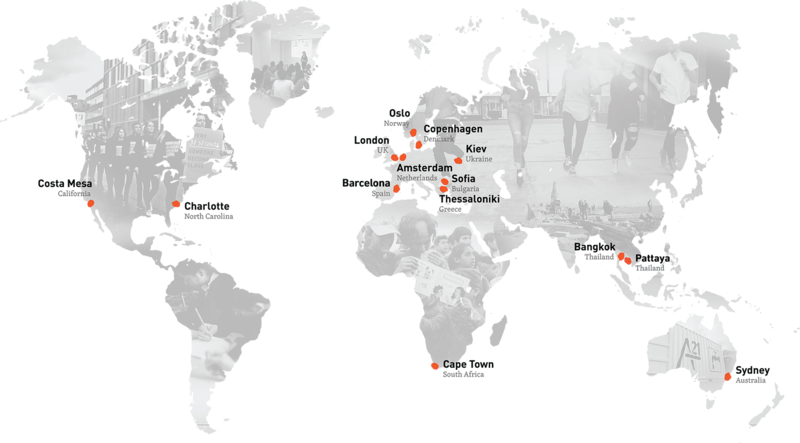 Our abolitionist community extends beyond our 14 locations. We have hundreds of A-teams fighting slavery across the globe.